Jimmy Junior Parks, 66, of Springfield, passed away on Sunday February 10, 2019 at his home. Funeral services will be conducted Wednesday February 13th at 2:00 p.m. in the Oakhurst Chapel of the Robertson County Funeral Home with Reverend Jerry Heflin officiating. Interment will follow in Springfield Memorial Gardens with Jeff Jones, Junior Jones, Jay Jones, Joe Jones, William “Bubba” Smith, Allen Parks, Larry Parks, Jr., Bobby Parks, Jr., Tim Parks, and Nicholas Keen Parks serving as pallbearers. Honorary pallbearers will be Todd and Troy Parks. The family will receive friends on Wednesday from 10:00 a.m. until service time at the funeral home. Jimmy was born March 26, 1952 in Springfield to the late Jodie Clarence and Mary Anna Grubbs Parks. He was a retired machine operator and was of the Baptist faith. Jimmy was a veteran of the U.S. Army and a member of the VFW Post 2120. 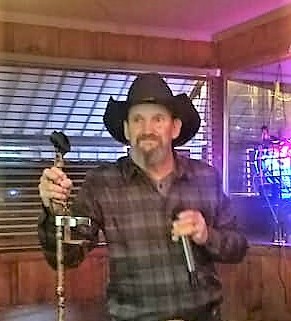 He loved singing, karaoke, riding motorcycles, and was an Oakland Raiders fan. In addition to his parents, he was preceded in death by his brothers: Larry Parks, Sr., and Tommy Parks, by his nephews: B.J. Samon and Wayne Stephenson, Jr., by his great nephews: Logan Stephenson and Daniel Dugger, Jr., and by his great niece: Alisha Samon. Jimmy is survived by his wife: Carlene Owen Parks of Springfield, his daughter and son-in-law: Marcy and Daniel Droog of Rustburg, VA, his step-children: Brandon Suter of Greenbrier, Michelle Suter of Puryear, his brothers and sisters-in-law: Billy and Doris Parks of Springfield, Bobby and Joyce Parks of Cross Plains, William and Mary Parks of Springfield, Tammy Parks of Springfield, his sisters and brothers-in-law: Mildred Abbott of Springfield, Betty and J.W. Jones of Springfield, Shirley and Wayne Stephenson of Springfield, his grandchildren: Joseph and Johanna Droog, his step grandchildren: Gage and Sam Suter, and by his best friend: his dog Raider.